The jacket is paid for, but anything else you would like to add will be due on the date of fitting. Parents are welcome to come help you. 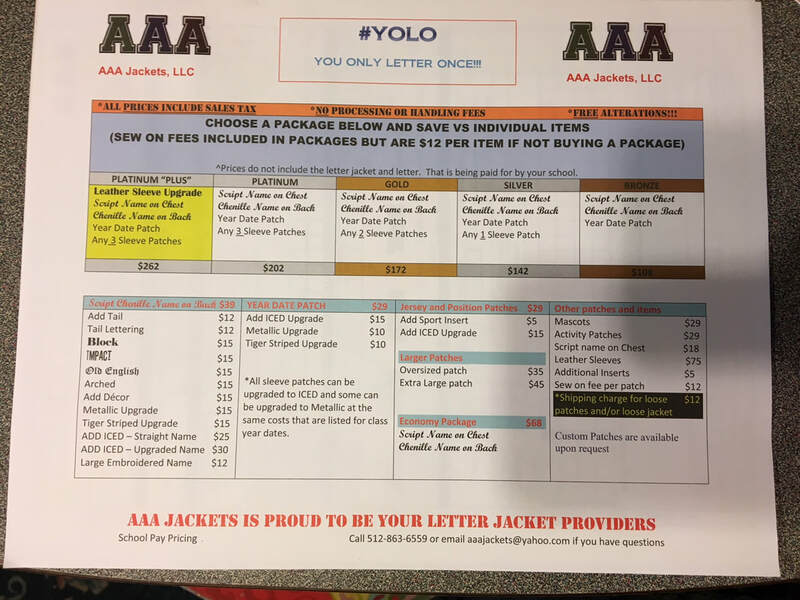 You may get your packet with all of the order options, patch options, etc., on the first day of summer band. Below is a photo of the pricing list.